GMTO Corporation (GMTO) today announced the start of hard rock excavation for the Giant Magellan Telescope’s massive concrete pier and the foundations for the telescope’s enclosure on its site at Las Campanas Observatory in Chile. The work will be performed by Minería y Montajes Conpax (known as Conpax), a construction services company that has previously performed site work for other observatories in Chile. Using a combination of hydraulic drilling and hammering, the excavation work is expected to take about five months to complete. 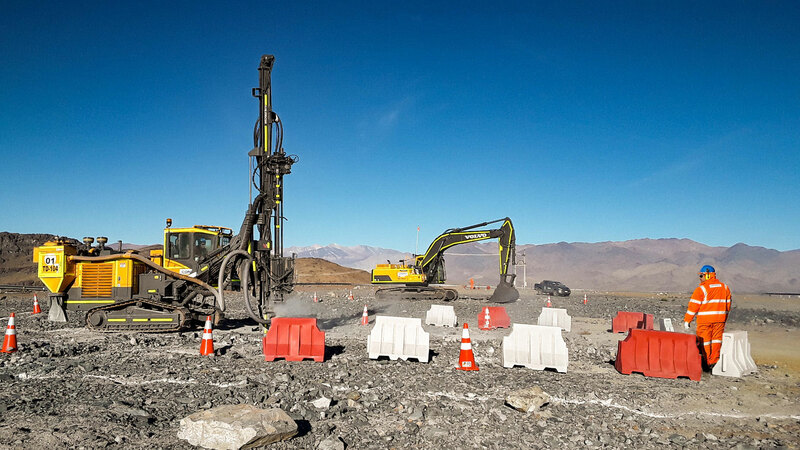 Excavation is a key step towards the construction of the GMT, which is expected to see first light as early as 2024. Las Campanas Observatory, located in the southern Atacama Desert of Chile and owned by the Carnegie Institution for Science, is one of the world’s premier astronomical sites, known for its clear, dark skies and stable airflow, producing exceptionally sharp images. With its unique design, the GMT will produce images that are 10 times sharper than those from the Hubble Space Telescope in the infrared region of the spectrum and will be used by astronomers to study planets around other stars and to look back to the time when the first galaxies formed. In the past year, the GMT project has cast the fifth primary mirror segment at the Richard F. Caris Mirror Lab at the University of Arizona, announced a new partner for the project with Arizona State University, and awarded design-build contracts for the telescope mount. The 2018 Science Book describing GMT’s strengths and its potential for scientific discovery was recently released and is available for download. 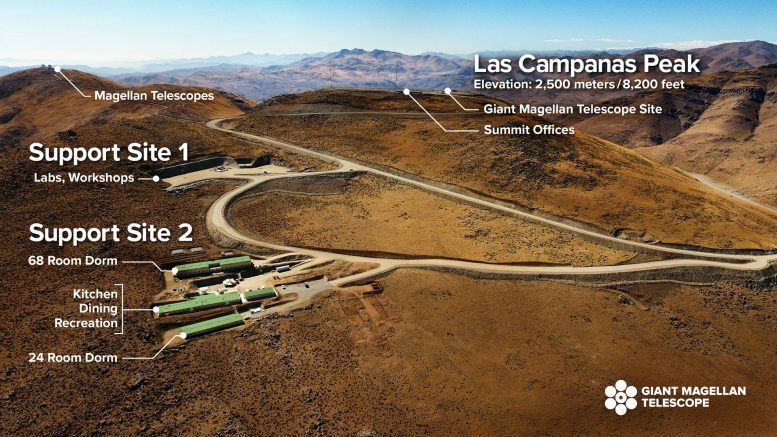 GMTO Corporation (GMTO) manages the Giant Magellan Telescope project on behalf of its U.S. and international partners: Arizona State University, Astronomy Australia Ltd., The Australian National University, Carnegie Institution for Science, Fundação de Amparo à Pesquisa do Estado de São Paulo, Harvard University, Korea Astronomy and Space Science Institute, Smithsonian Institution, Texas A&M University, The University of Texas at Austin, University of Arizona, and University of Chicago. The Smithsonian Astrophysical Observatory (SAO) leads the team responsible for the spectrograph G-CLEF (GMTConsortium Large Earth Finder). G-CLEF, when mounted on the GMT, will significantly advance the detection and characterization of planets around other stars. It is designed to detect the presence of diatomic oxygen in the atmospheres of Earth-like planets orbiting nearby stars. Terrestrial O2 is produced by living organisms. The search for life on other planets is one of the key programs of the Harvard University Origins of Life Initiative, with senior members from both Harvard College Observatory and SAO. The GMT will also enable important progress in a broad range of other fields of astrophysics, including understanding how galaxies form and evolve, and advancing the exciting new field of gravitational wave astronomy. The Harvard-Smithsonian Center for Astrophysics also participates in the GMT through active membership on the GMTO Board and the Science Advisory Committee, as well as leadership in technical design reviews. SAO scientists have also played a leading role in designing the mirror alignment system. 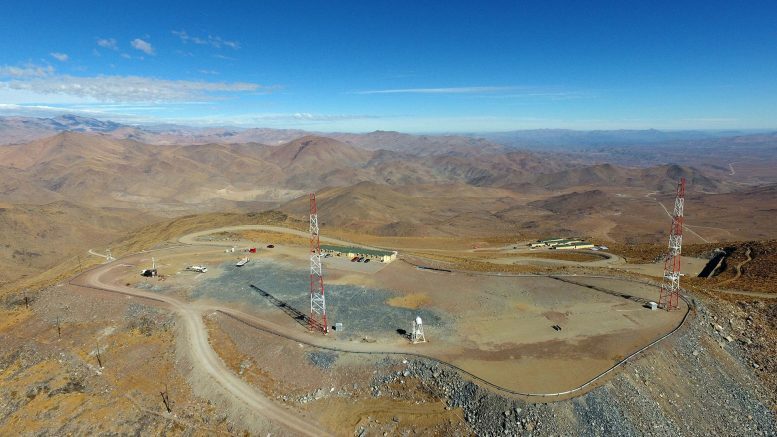 Be the first to comment on "Engineers Begin Excavation on Giant Magellan Telescope Site"